More than 160 healthcare industry specialists will converge on Bermuda this week to hear world-class speakers and experts discuss risk-management trends and challenges facing healthcare providers in the United States. 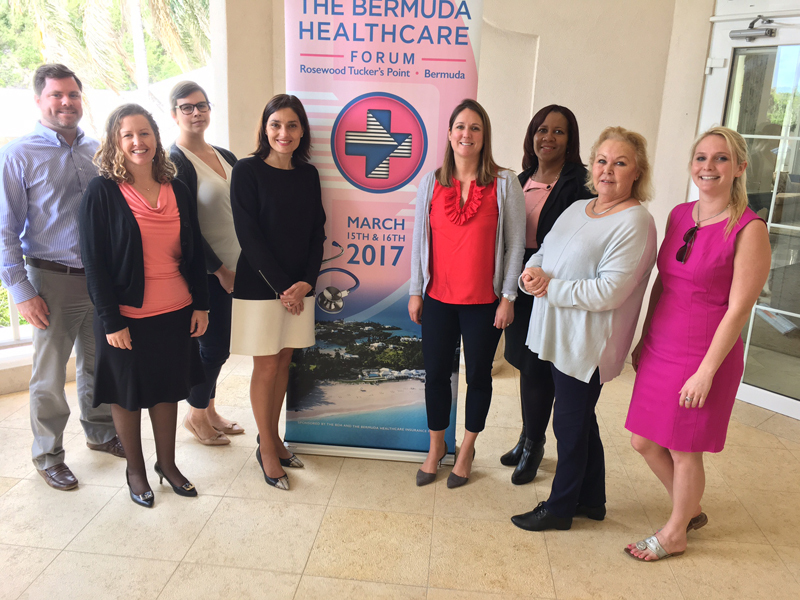 Overseas delegates to the inaugural Bermuda Healthcare Forum, to be held at Rosewood Tucker’s Point March 15 and 16, include insurance brokers, lawyers, specialists in captives, finance and risk management, plus patient safety professionals from some of the largest health systems in North America. The conference, catering to sophisticated insurance buyers for major hospital systems, long-term care facilities, physicians groups, and health-benefits and services providers has resulted in more than 90 rooms—and a total of 278 nights—booked at both Rosewood Tucker’s Point and nearby Grotto Bay Resort. Some 30 local companies will participate, with representatives from commercial insurance, broking, accounting and legal firms, as well as members from the Bermuda Hospitals Board, Bermuda Health Council, and the Bermuda Foundation for Insurance Studies. “With US healthcare providers facing many of the same challenges after the passing of the Affordable Care Act [Obamacare], and now the uncertainty brought by a new governmental administration in the US, this is an invaluable opportunity to bring our customers together in an intimate setting in Bermuda to hear from speakers on topical subjects,” said Kim Morgan, Senior Vice President & Healthcare Practice Leader, Endurance Bermuda. “Those topics range from programme design to data analytics to successful claims defence strategies—all of which we hope will serve to better prepare them for this changing healthcare environment,” she said. Twenty leading industry carriers, brokers and service providers are sponsoring the event. They are: Aon [Bermuda], Ascot Underwriters, BDA, Integro [Bermuda], XL Catlin, Allied World Assurance, Bowring Marsh Bermuda, Endurance Insurance, Iron-Starr Excess Agency, Chubb Bermuda, Atlantic Security Brokers, JLT Re, Healthcare Risk Partners, Willis Towers Watson, Arch Insurance, Argo Re, Lockton Bermuda, Markel Global Insurance Bermuda, RKH Specialty, and R&Q Quest Management Services. “The Bermuda re/insurance market has served the insurance needs of some of the largest health systems in the United States for over 30 years,” added Vivienne Moniz, Senior Vice President, Underwriting Manager, for Excess Casualty Insurance at XL Catlin. Kareen Richardson, Senior Vice President at Integro, said: “The Forum Committee has teamed up with various Bermudian firms to bring this event to fruition. Terry Madeiros, of TM Designs, created our logo and brand; developer Amy Peniston created our web page; Susan Thomas is our photographer for the event; Electronic Services is providing our AV needs; and Selange Gitschner of Dasfete will facilitate logistics. Among the attendees at this week’s forum will be a representative of the American Society for Healthcare Risk Management [ASHRM], a personal membership group of the American Hospital Association [AHA], with nearly 6,000 members representing risk management, patient safety, insurance, law, finance and other related professions. ASHRM has invited a panel from the forum to present at its annual conference in Seattle, Washington, October 15–18.